These are the costumes I made for my family for Halloween 2012. This picture spread pretty quickly the ought the Internet and Collegehumor.com declares us the winners of Halloween! Hehe. A recreation costume of the face stretching scene from Beetlejuice! I sculpted the masks out of polystyrene and hand painted them. They both have wig hair and fur attached. The Adam costume also includes eyeball finger puppets. Also included are the Barbara dress and Adam shirt. 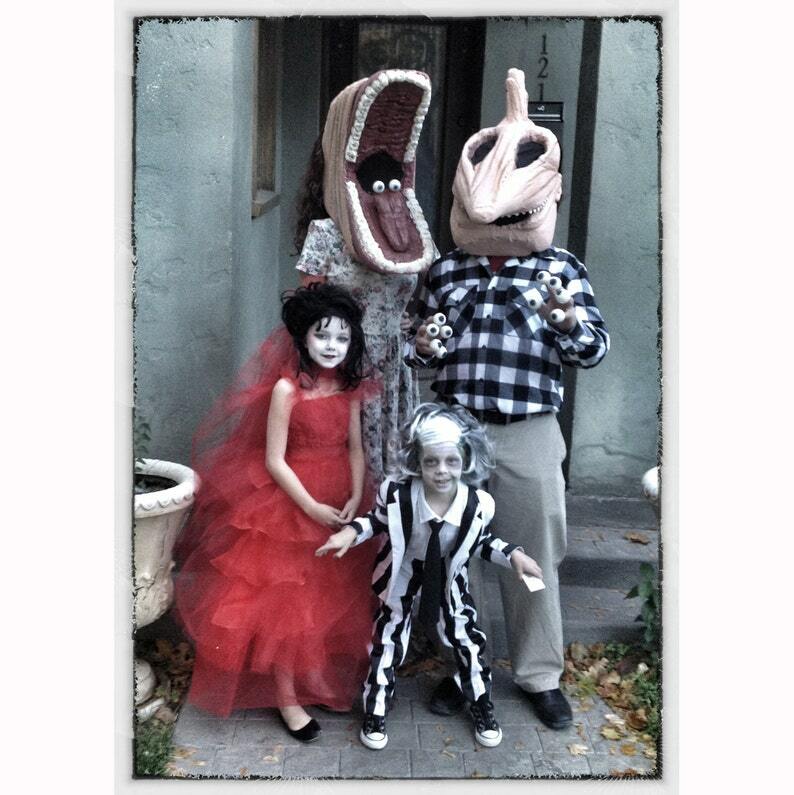 The beetlejuice costume is a size 6 and the Lydia is a size 10.